The countdown to Summer is on! If you're like everyone else on the east coast, soon enough you'll be heading to the beach for some swimming, sunning, water activities, or just to spend time with friends and family. Imagine if you could do that at your own home on the water, with your own private beach? 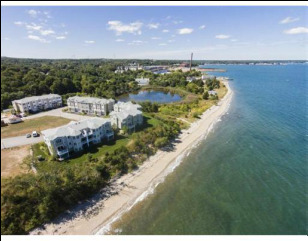 Light House Point can bring that image to life, and give you the chance to live on the water not just during the summer, but to also enjoy the private, serene, and incomparable comfort of a luxury coastal home all year-round.